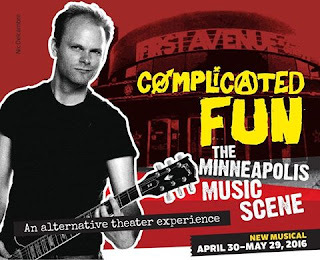 Have you seen History Theatre's COMPLICATED FUN yet? This timely new play with music is about the early '80s Minneapolis music scene, and our very own Gina from The Room Where It Happens was the dramaturg for the show. Click the links below to read her features about the making of the show, an interview with the music director, and our blogger reviews.